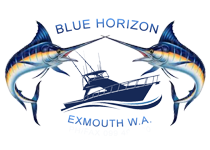 Corey has been commercial fishing and operating charter boats on the WA coast for 24 years. He started out Cray fishing at the age of 15 and continued in the industry for 14 years. In his off seasons he would work on charter boats at the Abrolhos islands and once finished Cray fishing moved to the charter fishing industry full time for a while. He then worked in the oil & gas industry working his way up to be Master/chief officer for 8 years whilst continuing to do charters in his off swings and is now the owner /operator of Blue Horizon Fishing Charters. Deckhand – Azza is a keen worker with a great knowledge of Exmouth. He has worked with me in the commercial fishing & charter industry in the past and has a passion for fishing and a love of the ocean. 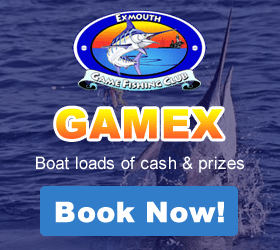 Azza has a great knowledge of fishing with a wealth of experience having worked in tackle world Exmouth for some years. Blue Horizon Charters is a member of the Tourism Council of Western Australia, we are also an Accredited Tourism Business, and have successfully completed the AussieHost Customer Service Training Program.